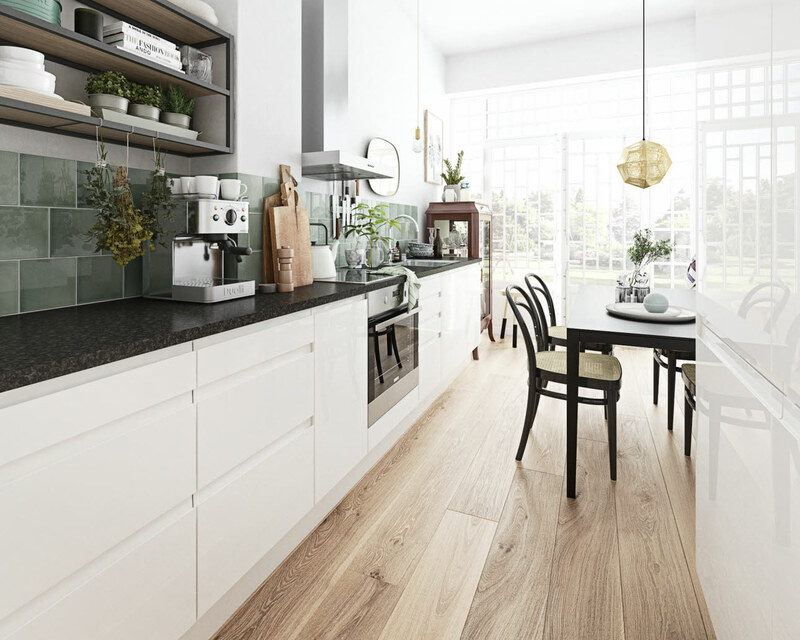 Bright, handleless kitchens have long been one of the most popular kitchens on the market. 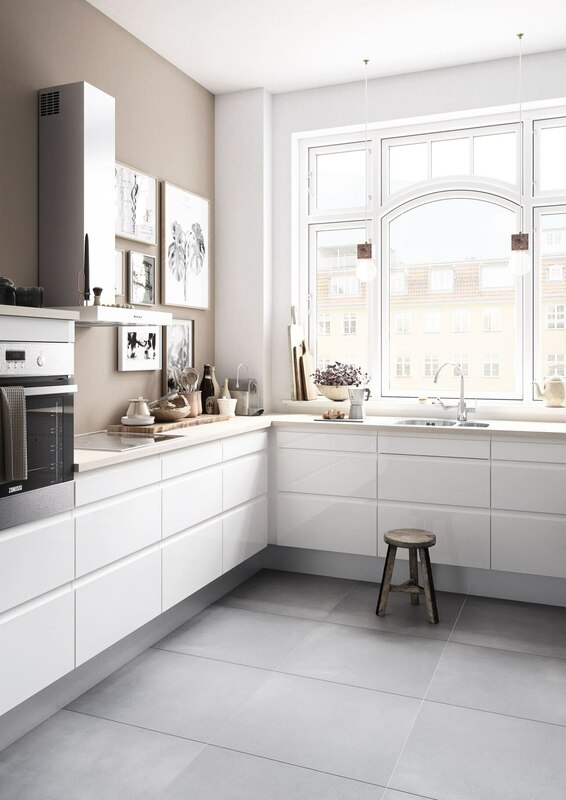 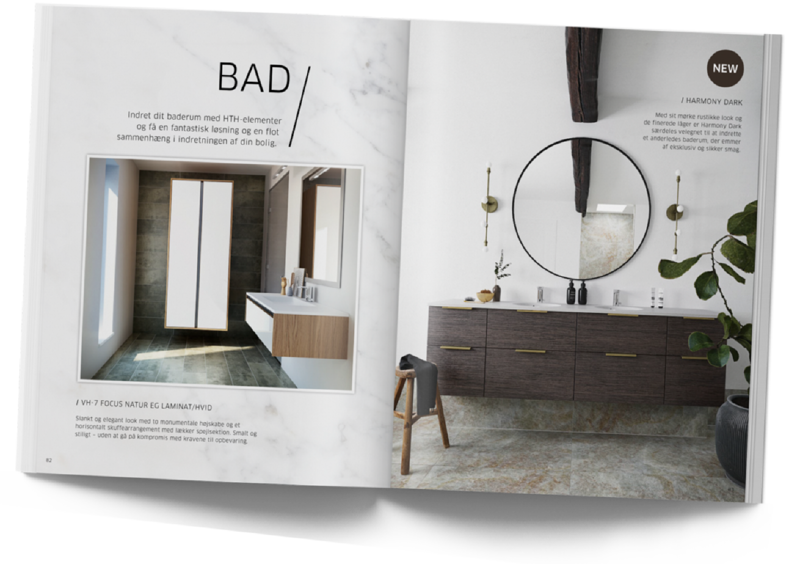 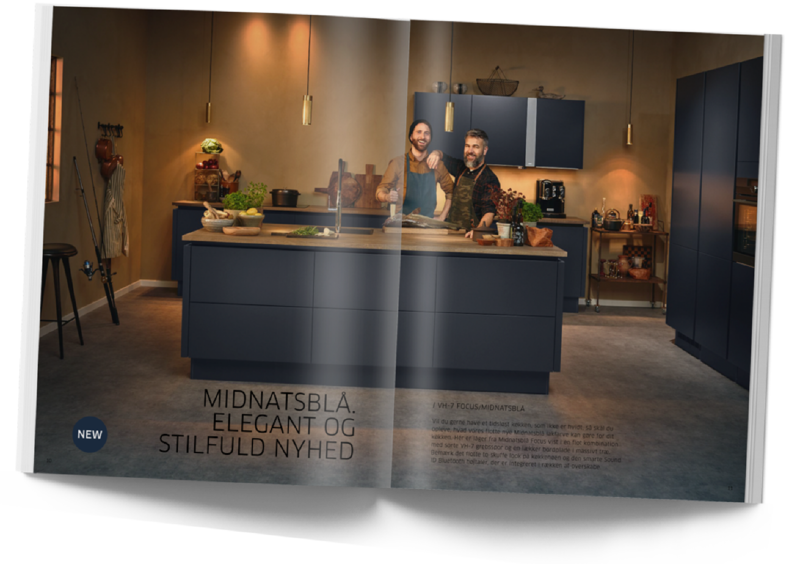 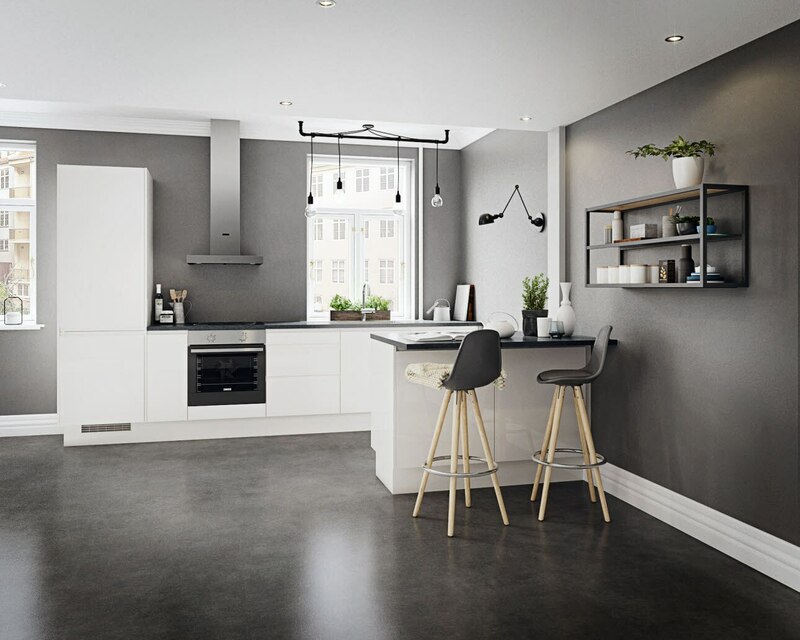 Next White High Gloss is classic Danish design and proving a big hit with many people. 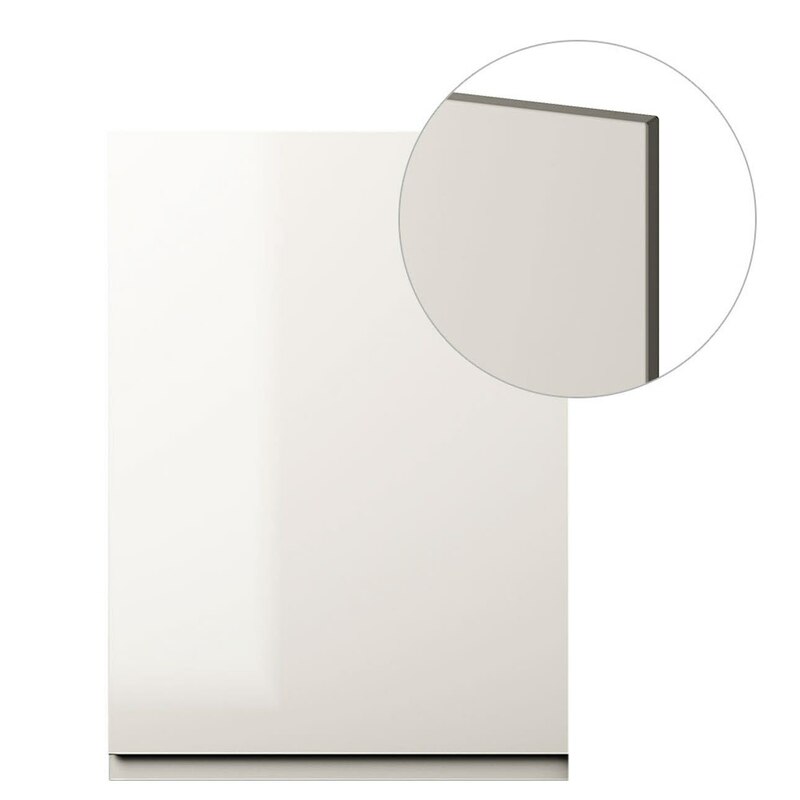 Next White High Gloss has horizontal handle grooves cut into the unit doors. 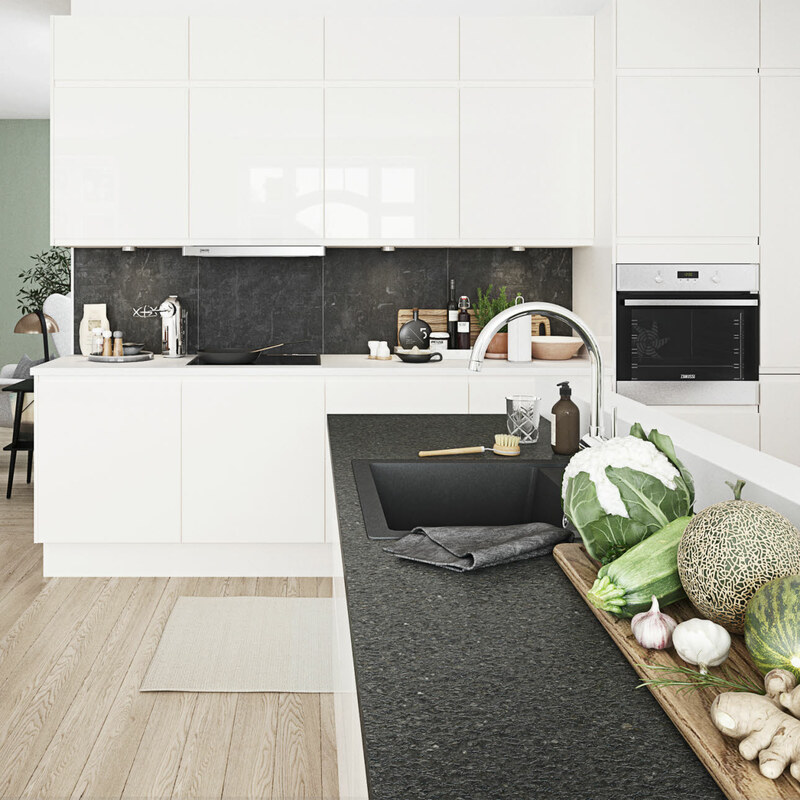 The integrated handles create beautiful, horizontal lines that emphasise the stylish look of the kitchen. 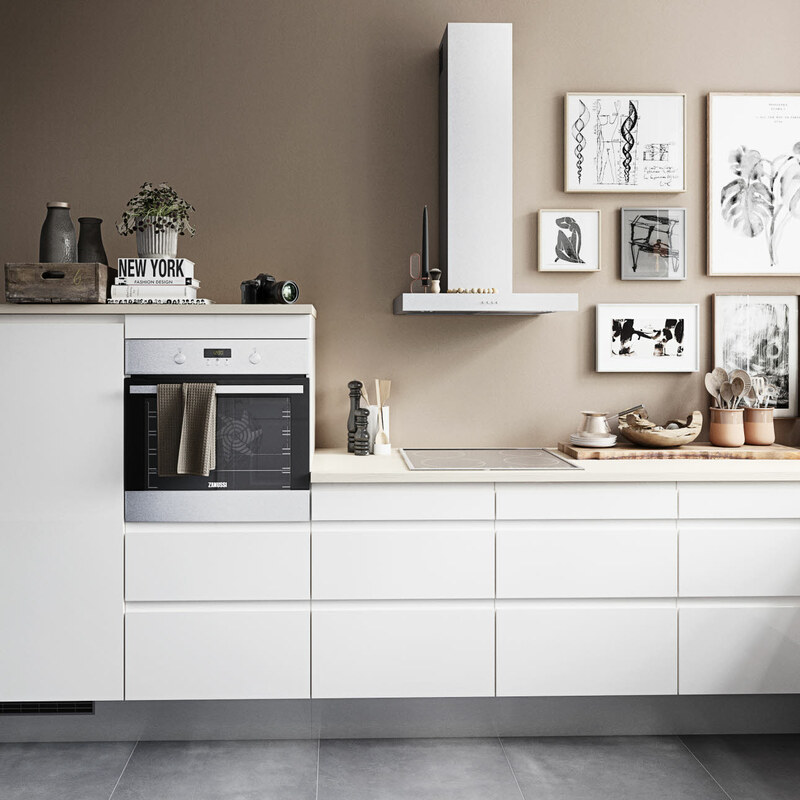 The doors are treated with a wear-resistant, white high-gloss lacquer that reflects the light and creates a greater sense of space. 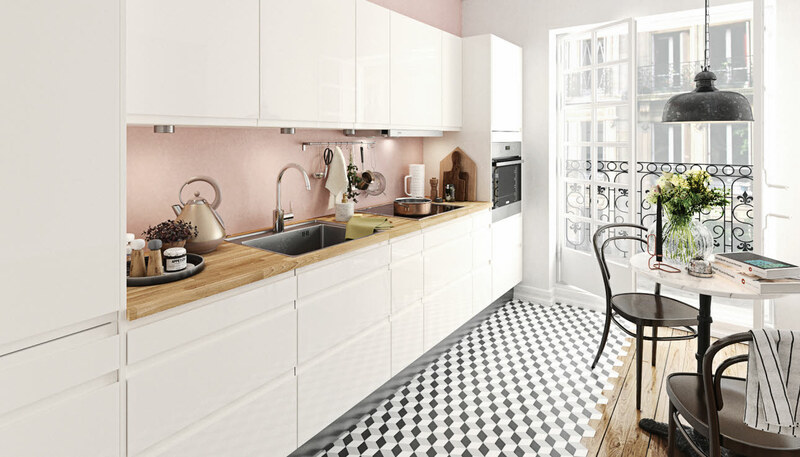 The attractive and stylish design of this light kitchen will suit any home. 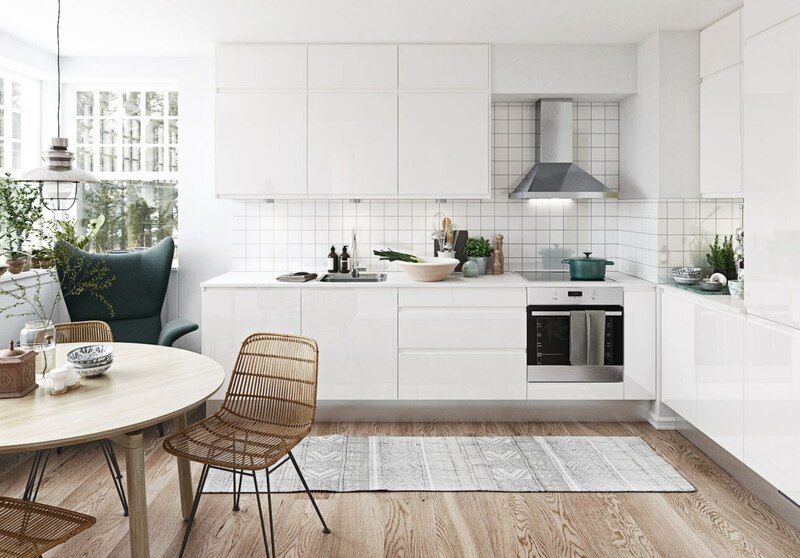 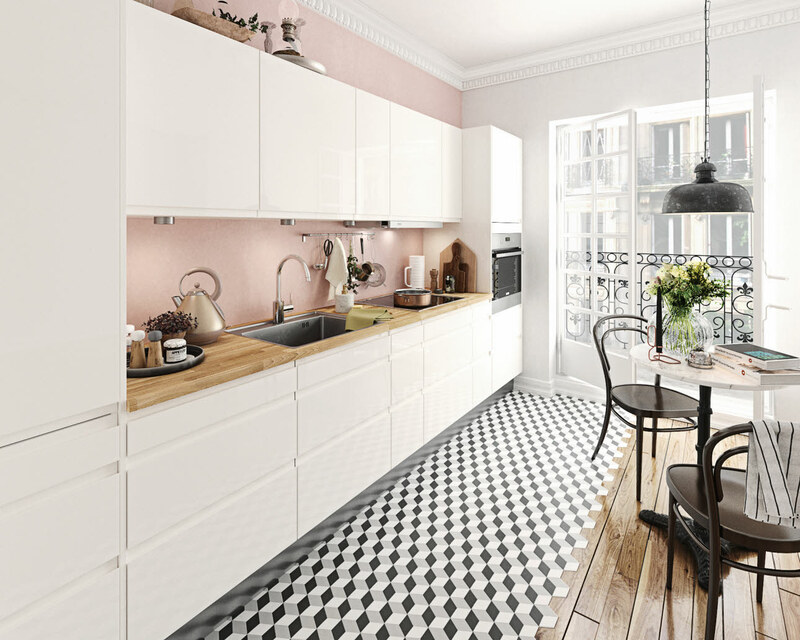 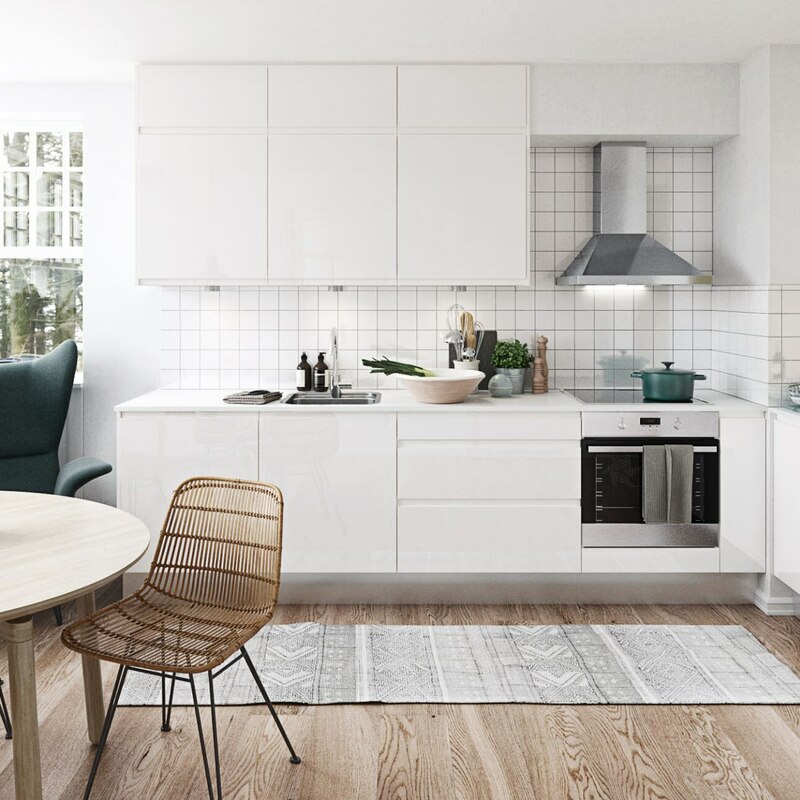 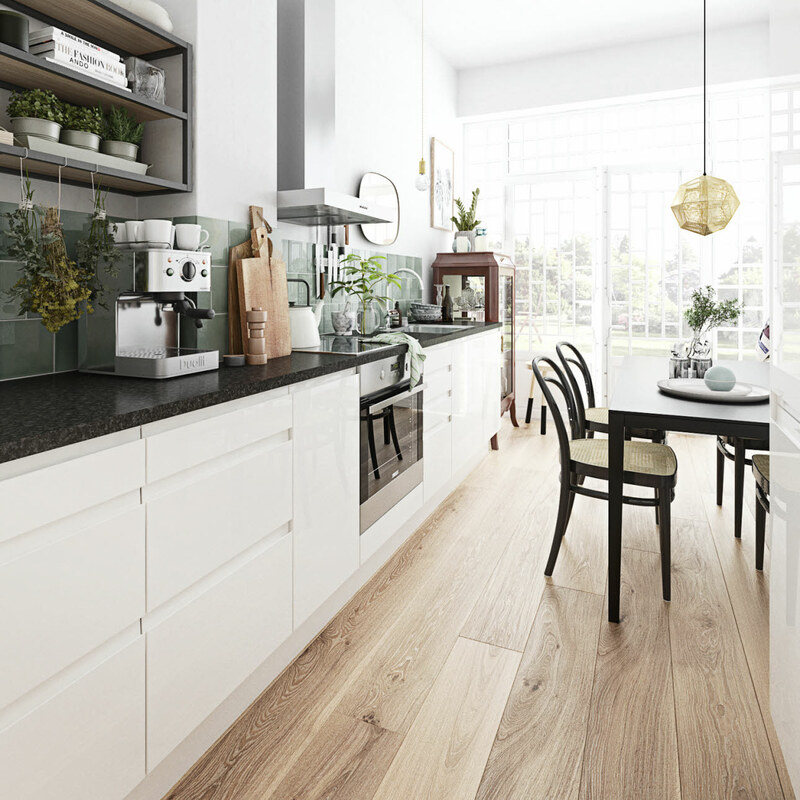 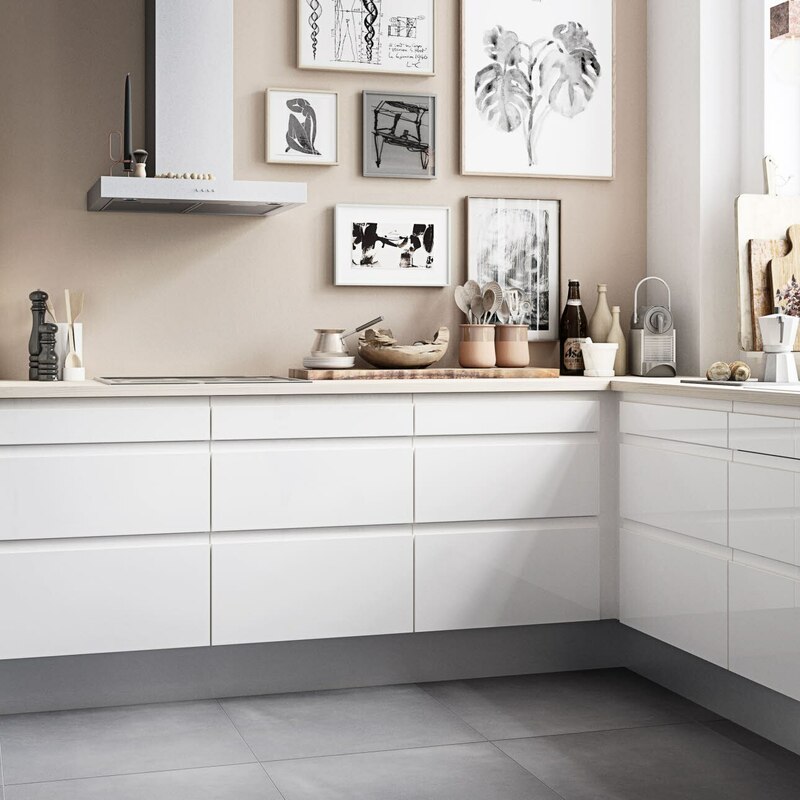 If you want the kitchen at an even more appealing price, choose Next White. 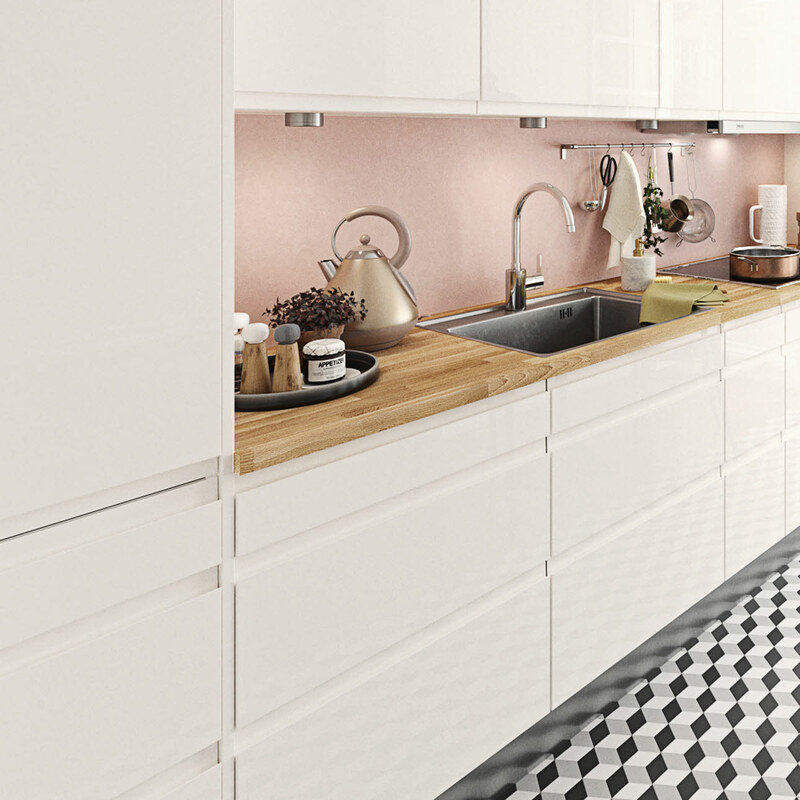 Next White High Gloss is a 19 mm unit door with horizontal, machined handle grooves. 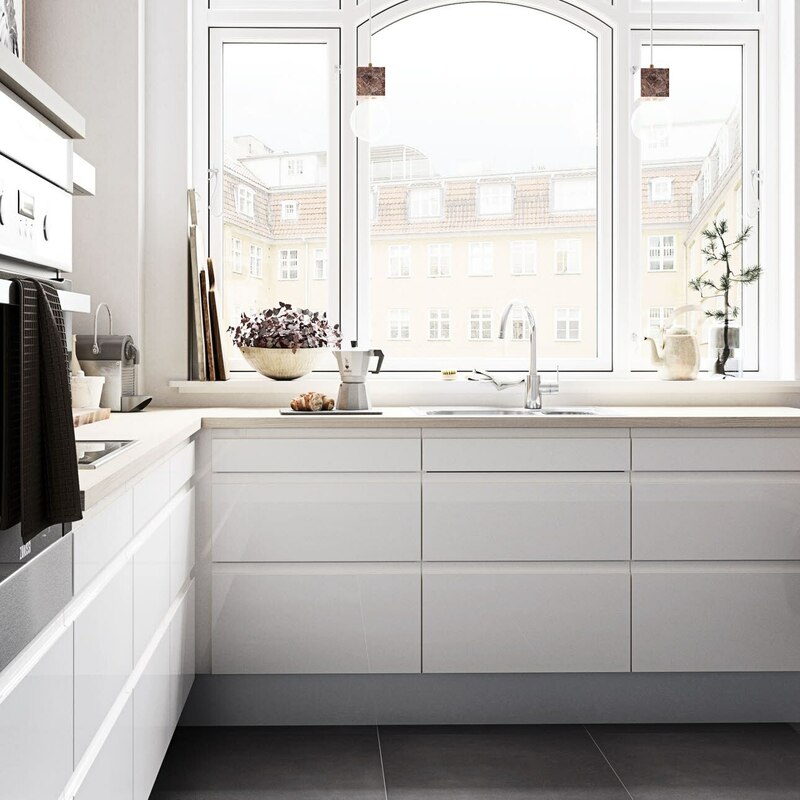 Each door is coated with wear-resistant, white high-gloss lacquer which is easy to clean with a damp cloth. 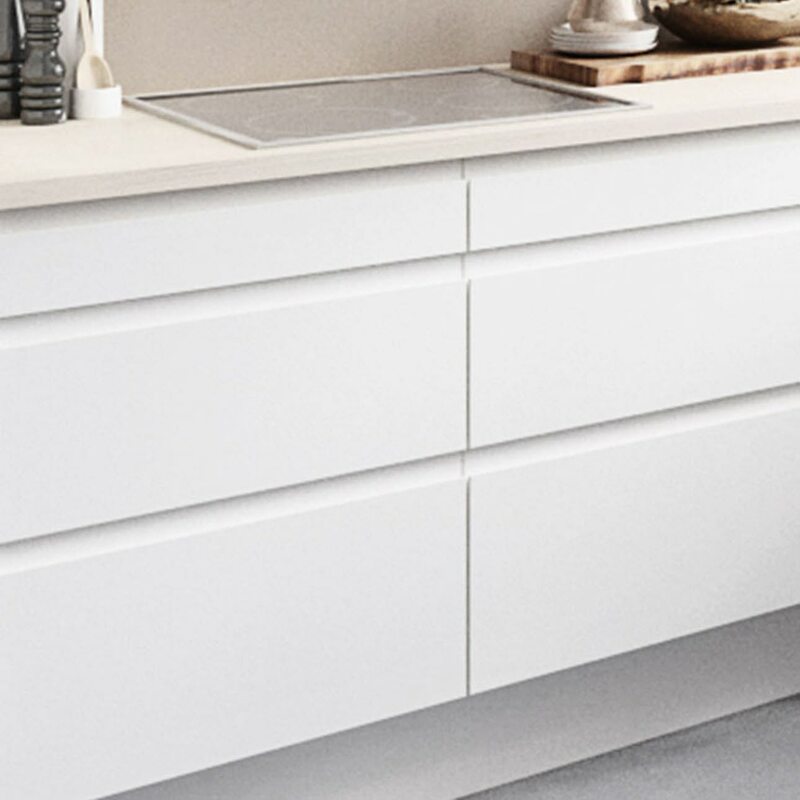 If you’re dreaming of a kitchen that is easy to clean and maintain, HTH’s lacquered high-gloss kitchen unit doors are the perfect choice. 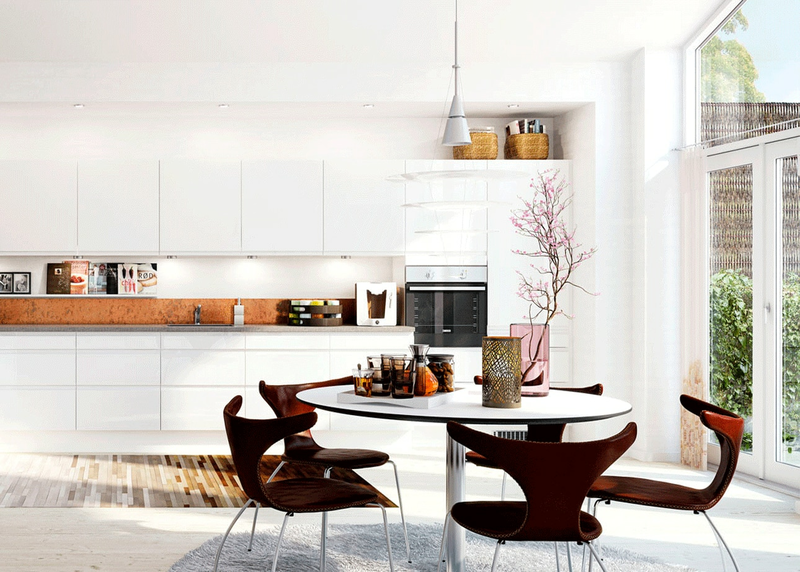 The shiny high-gloss surface reflects the light and gives the kitchen an exclusive look. 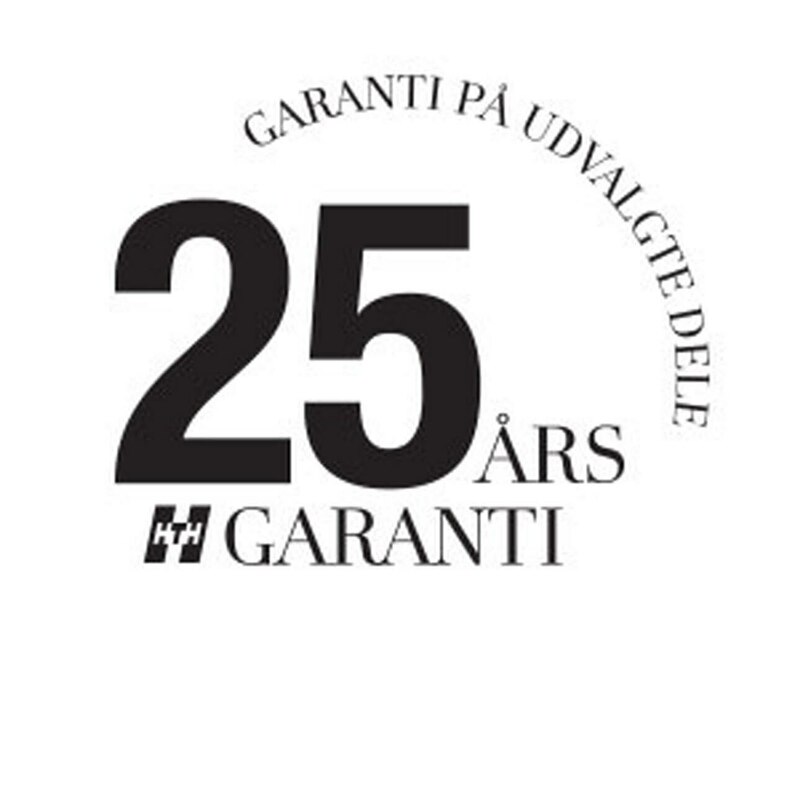 There is a 25-year guarantee on parts subject to most wear and tear. 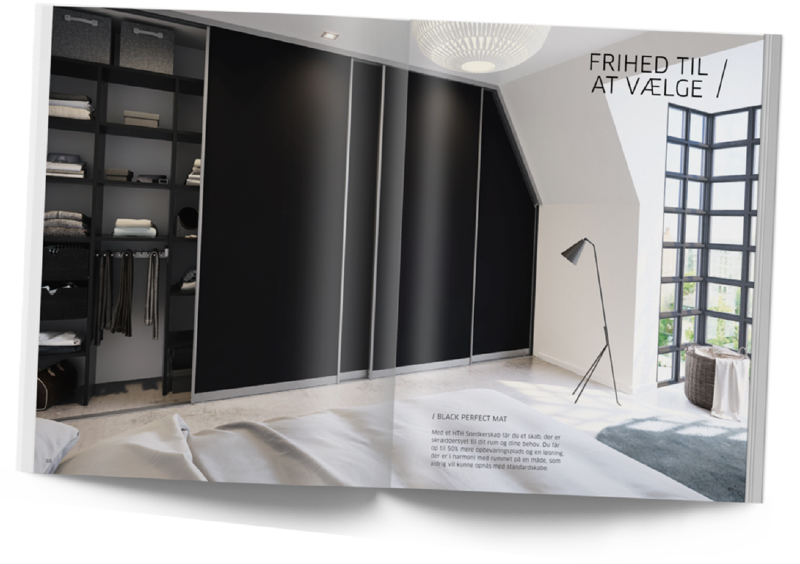 Visit a HTH shop and find inspiration in our impressive display. 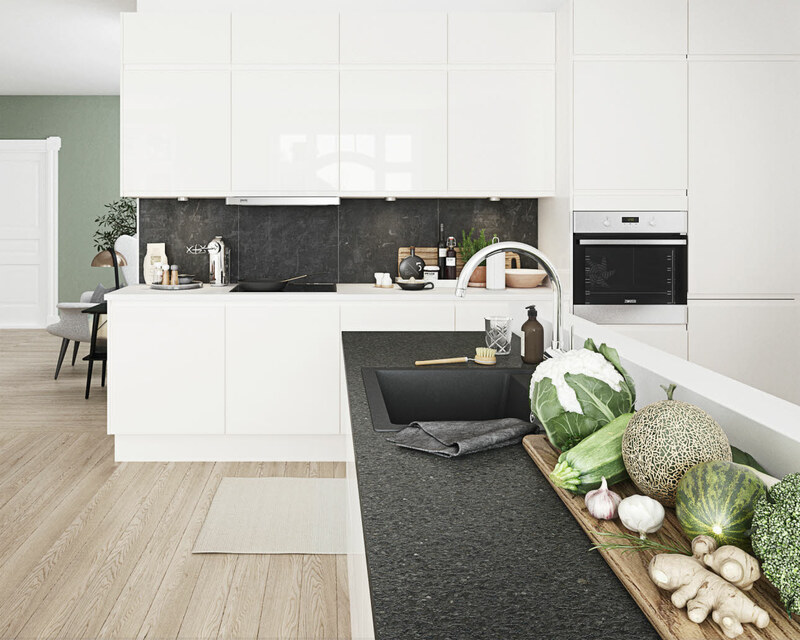 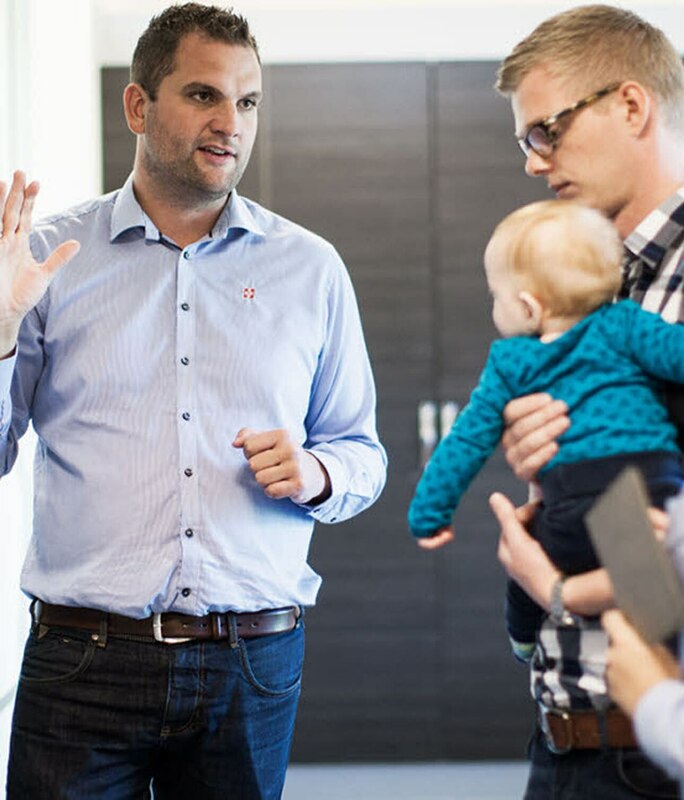 Our expert kitchen consultants are always ready to provide guidance and advice – whether you choose Next White High Gloss or one of HTH’s many other kitchen models.